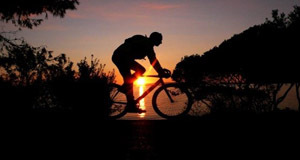 This wine and cycle tour ride through vineyards, visit historic landmarks and taste great wines. Experiencing how your familiar international varieties fare under the Greek sun and how well they blend with our own. A trip hosted in boutique hotels, visiting award-winning Greek wineries, complemented by fine meals. 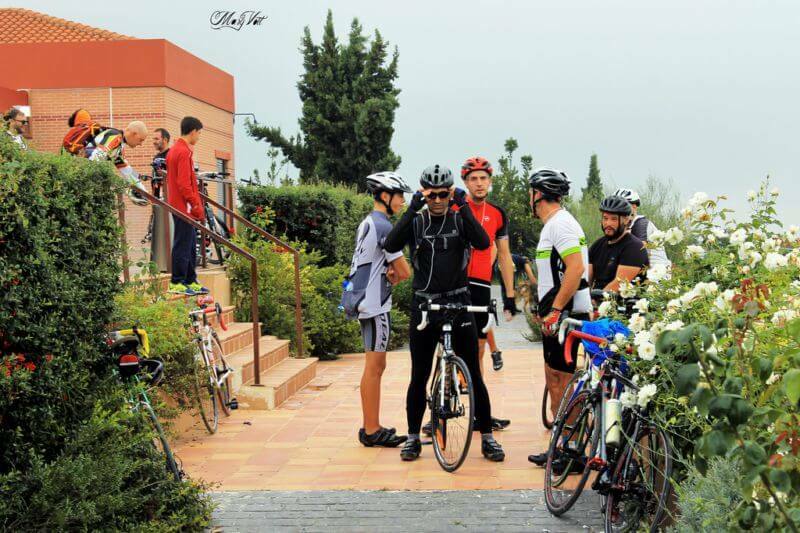 Above all, with cycling routes designed by our expert cyclists adequate for everyone. It’s up to you to choose the level of difficulty that suits you. Best Time to travel: March-December. Our journey will start from Nemea, the oldest wine producing area in the world, tasting the modern versions of Agiorgitiko, the variety that Hercules used to drink, as well as numerous blends of Cabernet, Syrah or the indigenous Mavrodaphne. Wine and Cycle Tour. 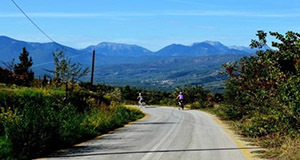 Visit antiquities, bike and stroll through 19th century Nafplion and ancient Mycenae, then move to the Arcadian highlands to taste the white Moschofilero and some hearty red varieties of Cabernet, Merlot and local Agiorgitiko in high altitude. 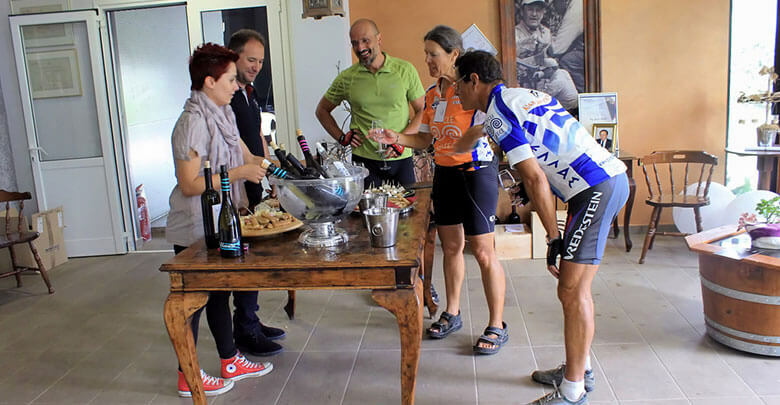 Wine and cycle tour for all. From the highlands, pedal downhill to Laconia to visit Sparta, Mystras and the medieval castle of Monemvasia, to taste the indigenous white Kydonitsa, Monemvasia and Mavroudi red, among others. 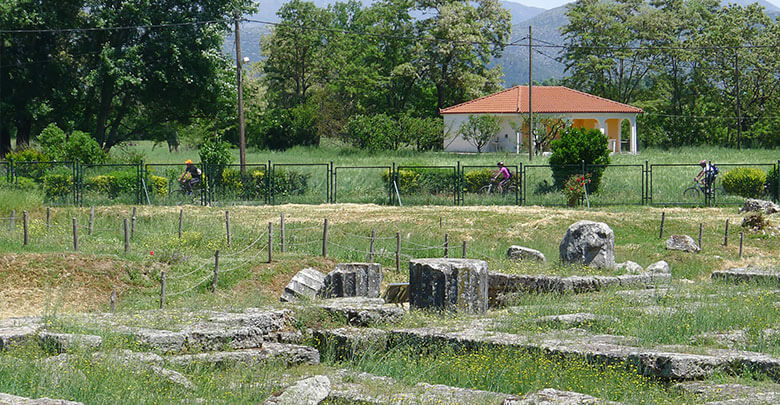 The final part of your Wine and Cycle Tour is in the historic region of Attica and its capital Athens where we cycle through the vineyards of Mesogeia to taste local varieties like Savvatiano white and new-Retsina, which have existed for more than 3,000 years and visit landmarks like the Parthenon and the new Acropolis museum. 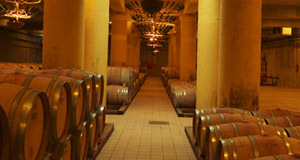 Tours & tastings at award-winning wineries. 5-night Accommodations in 3* and 4* hotels (based on double occupancy). Meals as indicated in the itinerary. Transportation to/from the airport, to/from destinations. Admission fees to all archaeological & cultural sites. Greecefully’s guide(s) and support vehicle Use of bike, gear, energy bar and water bottle. Wine and Cycle tour, Day-by-day itinerary. 35-40 km, 650m elevation, medium, 5.5/10. 07.00-08.00 your breakfast will be served and afterwards, we shall venture to the beginning of winemaking, some 3,500 years ago, in the area of Ancient Nemea. 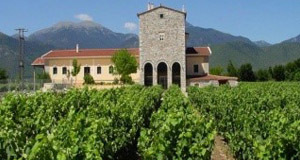 Agiorgitiko, the red, hearty variety is the trademark of the area and is cultivated here since antiquity and in recent years is beginning to become recognized as one of the greatest reds world-wide. We ride zigzags through the vineyards for about 35-40 km with a total elevation of about 500 m, and after a brief wine tasting stop in one of the numerous wineries of the area, we reach the site of Ancient Nemea, where we shall be given a tour of the ancient site, museum and Stadium by Steven Miller, the very man who excavated the area. Following that, we continue to visit Nemea and the prominent Semeli winery, uphill, after Koutsi, overlooking the valley in a very Tuscan view. Finally, we move on to Nafplion, the first capital of Greece, where we spend the rest of the afternoon and evening, stroll through the beautifully preserved streets and old buildings, visit the Medieval Palamidi castle and have a drink or set dinner at 360, the best wine bar in Peloponnese. 49.3 km 468m elevation, medium, 4.5/10. 07.00-08.00 Breakfast. 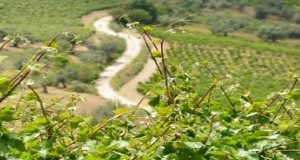 Today we return to Nemea to catch another glimpse, different point of view & different wines. We start uphill, from Kastraki, then cycle down to Dafni, and enter the valley. 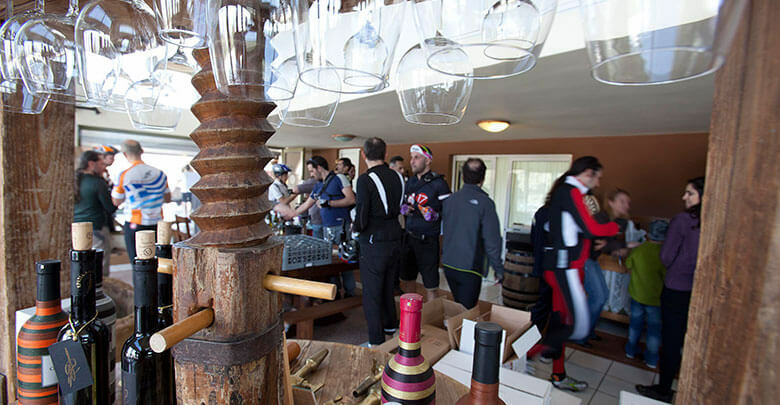 Here, we visit another boutique winery and keep on riding. 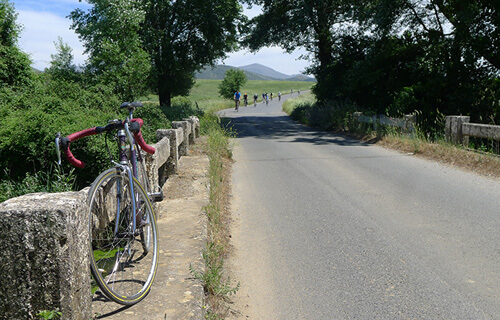 We ride through vineyards the entire time, on different grades of asphalt, passing Leontio and Gymno. As the scenery changes dramatically within only a few km, we now descend through a landscape of immense wild beauty, to finally reach Skouras winery, one of the most prominent ones: voted Winery of the Year in 2009 by Wines and Spirits mag. We tour the premises, taste the great wines and finally enjoy a light dinner paired with the wines. And now it’s time for more antiquities. We will visit Mycenae by car, the mythical place of Ancient Tragedy & reign place of King Agamemnon. You will be guided through all sites and the museum of this ancient city. We return to nearby Nafplion and enjoy the cities nightlife or simply rest. 07.00-08.00 Breakfast. Today we shall venture to beautiful Arcady. Our ride starts just before the village of Partheni. A smooth, green & mountainous landscape surrounds the area as we enter the vineyards of Agiorgitika village, cycling on smooth dirt roads passing through or by the villages of the area, namely Agiorgitika, Steno, Lithovounia, Episkopi, Kerasitsa, Tegea, where we shall be toured through the newly opened Tegean museum. Then ride on to Alea, Garea, Psili Vrysi to culminate at Domaine Tselepos, where we shall tour the winery and taste the fabulous wines. The main variety for which the area is famous for is Moschofilero, but Yiannis Tselepos also excels in reds, as you are sure to discover for yourself. We dine at a tavern famous for its local cuisine paired with the wines we tasted. Later on, we move towards Sparta, in the region of Laconia. Tomorrow we visit the Medieval castle-city of Mystras, so we rest and sleep at a boutique hotel next to it, overlooking the site, where everything will be tailored to your needs. 30 km, 276m elevation, easy 3/10. We have breakfast overlooking the mountain slopes and walk or cycle to Mystras. We take a 2-hour tour to the site, then mount our cycles and cycle 30 easy, but beautiful kilometres to reach Theodorakakos Winery. Here, the rare local grape varietals are the white, lemony or rather quince flavoured Kydonitsa, thus its name (means quince in Greek) and Mavroudi, a thin but complex red, reminiscent of Pinot Noir. We leave for the famous castle -city of Monemvasia, where we shall wander in its medieval alleys, climb to the top for the magnificent view of the east coast of the Peloponnese, and finally dine and sleep in our boutique hotel. Roughly 13+38 km, elevation 550m medium 5/10. 07.00-08.00 Breakfast. Today we’ll ride to a location 13 km from Monemvasia to visit the Tsimbidis winery and taste its wine palette, which includes indigenous Kydonitsa and Mavroudi, among others. Once there, we’ll be guided through the estate and have a wine tasting accompanied by local delicacies. After this pleasant break, we continue to visit two beautiful iconic villages and have a shortstop for a secret local snack under the dense shadow of plane trees, before we roll down on our bikes with a majestic view of the Aegean in the horizon, from an altitude of 750 m to the sea. We then board the van for our visit to Epidaurus and after that, we head back to Athens. Check out and once you’re picked up we’ll drive to the heart of the oldest vineyards in Europe, where Savvatiano, the local variety has been cultivated for more than 3,000 years. We cycle through the vineyards to visit 3 different wineries which produce iconic wines from the variety, but also hearty Cabs. 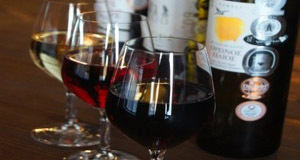 We dine drinking those wines and tasting other local products, cheeses… and see you off at the airport.